Jacob Sartorius was born on October 2nd, 2002. He is a pop singer and social media star. He rose to fame doing lip-syncing videos on Musical.ly. He doesn’t do just lip-syncing, however, as his debut single, “Sweatshirt” was released in 2016. It hit 90 on Billboard Hot 100, 81 on Canadian Hot 100, and 10 on iTunes. He went on tour and since then has released two more singles, “Hit or Miss” and “All My Friends.” He appeared on November 26th, 2016 in Philadelphia a special guest on the Digitour Winter. 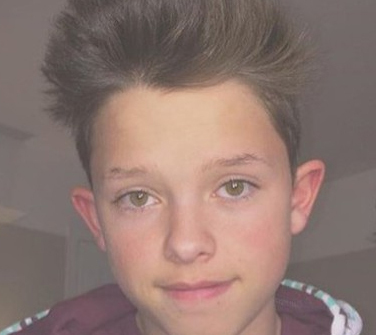 Jacob Sartorius was born in Oklahoma but was put up for adoption shortly after his birth. His adopted parents took him to Reston, Virginia. He began his musical career at the young age of seven but his performances led to him being bullied, hence why his first online video on Vine at age 11is about anti-bullying. As he reached more fame, the bullying continued and he changed schools three times. Jacob considers his adoptive parents the most loving in the world and has stated that they have given him an amazing childhood. His mother has appeared in some of his videos. He also has an older sister, Caroline. His first name is actually Rolf, a name he shares with his father and grandfather, but he doesn’t particularly like it so he goes by Jacob instead. Jacob has shared that Cameron Dallas, another star on Vine, is his closest friend.